Birch Bay is a holiday town that is just south of the border from Vancouver. It is less than 20 minutes by car to the US-Canada border and about 30 minutes to the nearest American city. 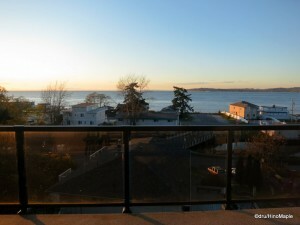 It is very popular for people to come and visit from both Vancouver and Seattle as it is a quiet getaway from the city. It is a very quiet town with very little of interest. There is a nice park and the bay itself is very beautiful. If you are looking for something that has a beautiful view and quick access to other urban areas, Birch Bay is a great place to be. At night, the stars are brilliant, and in the day it is equally quiet. There are only a few people this small town and it can look a little scary depending on the time of day and the season. During the autumn months when the fog rolls in, it can look like a scary horror movie where people are being taken to be killed. While this may look the case, it is far from it. The area has a lot of beautiful nature and only the coastal area is developed. The only real industry is a lone gas plant that I saw and a few other local businesses. In reality, it is a nice place if you want to have a vacation house outside of Vancouver and it isn’t so far that you couldn’t get away every weekend. Compared to Tokyo, it would be similar to having a house in Hakone or the Fuji 5 lakes region. The prices, however, don’t reflect Hakone as housing prices are very cheap in Birch Bay. At just over $100,000USD, it is very cheap. One of the main reasons it is so cheap is that it is too far from everything. The nearest city is about 30 minutes away and Seattle is over an hour away. The daily commute from Birch Bay would be very difficult. It is possible to commute from Birch Bay to Vancouver every day as it is closer, but then you have to contend with the borders. Some people do that but it isn’t something that I would enjoy doing. It is also poorly serviced as there are few buses in and out of the bay, from what I could tell. Cars are definitely needed. While that is the case, the town is great and I would love to go back again. I just need to start saving up so I can get a place down there. This entry was posted in USA and tagged America, Birch Bay, I-5, I5, US, USA, vancouver, Washington, Washington State by Dru. Bookmark the permalink. Well, maybe I indulged a little, but “far” away is not that far. Then again, driving at 160kph on the highway is one way to cut the time down. Not that I did that. I was a passenger and my friend was pretty safe as tickets are not fun to get. Done and done. I look forward to hearing back from you.